Instruments - Jensen Optometrists, P.L.L.C. Topography to map the corneal curvature for better contact lens fit and aid in the detection and management of corneal disease. Autolensometer to make sure your glasses prescriptions are correct and accurate. Digital Retinal Photography to document your eye health. Clarus 500 takes a 200 degree image of the back of the eye so we can document and better diagnose and manage eye disease. Our dispensary includes an in-house lab so that we may cut your lenses to fit your frame. 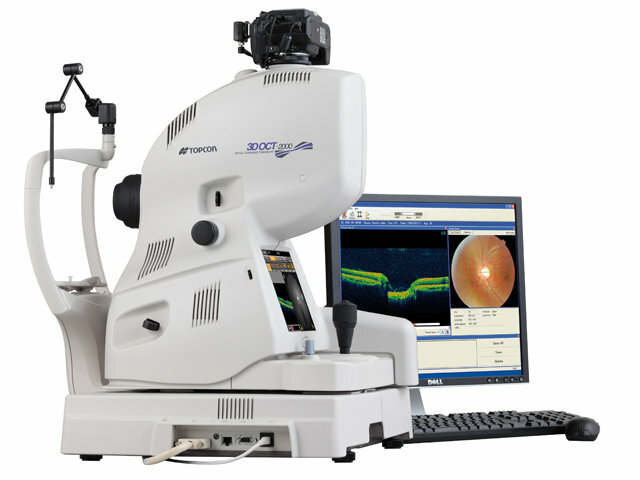 Jensen Optometrists is proud to announce we have recently acquired some of the latest technology to help treat and diagnose ocular disease. Cirrus HD 5000 is THE high definition way to analyze ocular health. Configured with FastTrac retinal tracking and the most sophisticated clinical applications, such as Advanced RPE analysis and Ganglion Cell Analysis, this tool is a more effective instrument in diagnosing glaucoma, age-related macular degeneration, diabetic retinothopy, and additional abnormalities. 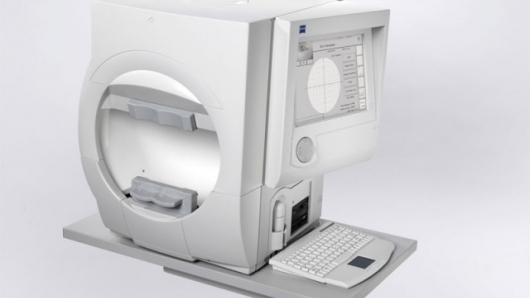 Humphrey Visual Field Analyzer to help monitor the progression of glaucoma and neurological conditions. The Humphrey Matrix is the latest breakthrough in visual field testing and cuts your visual field testing time in half. Testing a patient's peripheral vision is important in screening for effects of eye diseases, like glaucoma, and detecting possible neurological abnormalities. The Matrix is a more patient-friendly way of testing as it takes approximately two minutes per eye versus four minutes with other visual field testing. No eye patch is required and some patients may keep their glasses on while testing. The Matrix is an excellent tool in pre-screening patients prior to meeting with the doctor. Any need for additional testing can be determined by your doctor. At Jensen Optometrists, P.L.L.C. we are concerned not only about your vision, but also the health of your eyes. 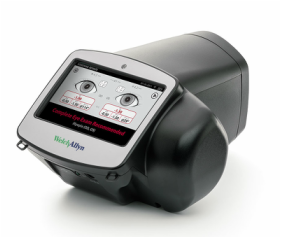 We are excited to introduce the Matrix as a tool to provide more convenient testing for our patients, while upholding our commitment to provide the best service in maintaining good eye health. 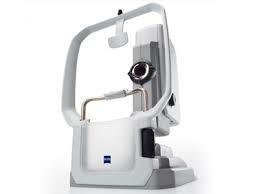 Autorefractor/Autokeratometer measures your prescription more conveniently. 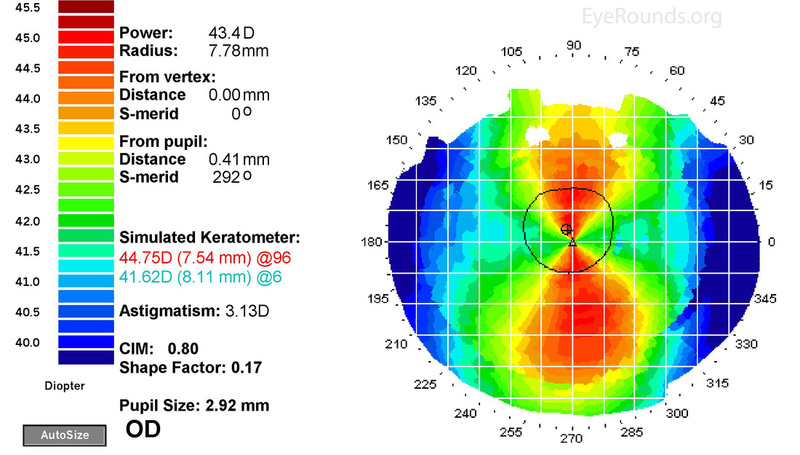 The Auto Refractor/Keratometer allows us to automatically and conveniently measure the front surface of your eye, to help determine corrections for astigmatism and help in contact lens fitting. It also gives us an approximate prescription of your eyes to give the doctor a good starting point. The instrument is handheld so the assistant or doctor can conveniently get measurements without having to move the patient to a different station. The instrument gathers important information while the patient simply looks at a picture. No patient response is needed making _it valuable in obtaining information for young children or other patients that may not communicate effectively. UV visual spectrometer to make sure your sunglasses are protecting your eyes from harmful Ultra Violet light. Not all sunglasses are created equal. 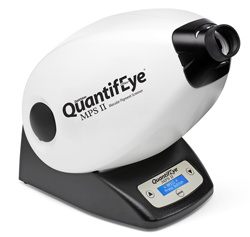 QuantifEye to measure Macula Pigment Optical Density to determine your risk for macular degeneration. The Spot Vision Screener is a handheld, portable device designed to help users quickly and easily detect vision issues on patients from 6 months of age through adult. Spot screens both eyes at once from a nonthreatening 3-foot distance and gives an estimate of the patient's prescription.